I have gathered a lot of helpful links to people and places that can help you perfect that plan for your special day. If you contact them, just let them know the VideolabTv sent you. Come experience the very pinnacle of luxury all-inclusive excellence with Sandals' Caribbean vacations. Sandals delights couples in love with supremeluxury resorts in St. Lucia, Jamaica, Antigua and the Bahamas, featuring gourmet candlelit dining for two, gorgeous tropical settings and some of the world's most exquisite beaches, If you are planning a wedding, Sandals is the leader in Caribbean destination weddings and honeymoon packages. My name is Matthew Sweeting, and I’m a non-denominational pastor and licensed marriage officer, native to the Bahamas. I conduct most of my weddings in New Providence, but with advance notice, can perform your ceremony on another island. 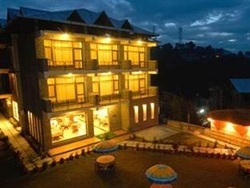 Located in the picturesque Kasauli Hills, Kasauli Castle is a luxurious resort with features and amenities. The opulence of the resort ushers the beauty and enthusiasm in the tourists. Located at the pristine location, the resort offers great commute and elegant accommodation.